Scores the inside walls of cartons to customize carton size. 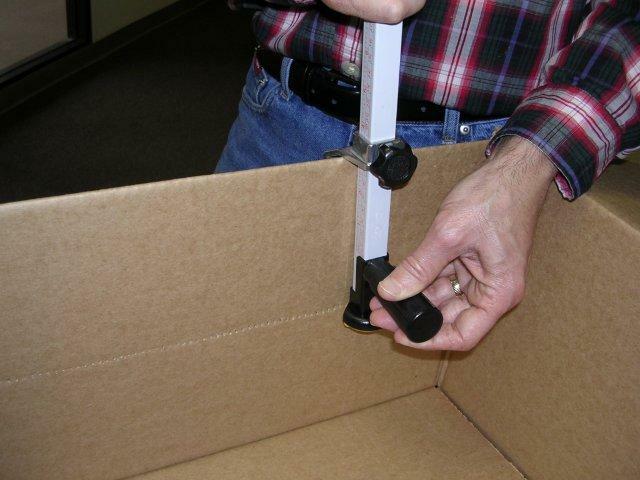 Reduces need for packing material and allows user to stock fewer carton sizes. Inch markings on shaft allow for exact sizing. Twistable safety cap over cutter.